LG Electronics has put its US$2m (£1.4m) global PR business up for pitch as it overhauls PR arrangements in key local markets, including the UK. The company's Seoul-based global comms director, Ken Hong, told PRWeek that the review is currently focusing on selecting an agency to handle its corporate and product accounts across eight regions. The Europe component of the business will be headed out of London. Other regions under review are the US, Latin America, the Middle East & Africa, Asia-Pacific, China, Russia and Korea. Agencies believed to be in the running include LatAm incumbent Porter-Novelli, and Burson-Marsteller, which currently handles the business in Korea. US and Russia incumbent Ogilvy PR, along with Hill & Knowlton, are also expected to take part in next Thursday's pitch in Seoul. Hong said that LG is aiming to select one agency to manage all of the regions, including the current local relationships, which include Firefly in the UK. Hong declined to comment on the fate of local agencies, but a source involved in the review said that ‘the AOR will slowly branch out over the next two to three years in local markets'. 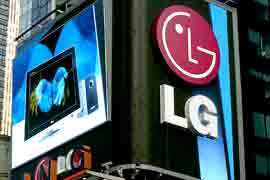 Once LG's first-tier local markets, such as the UK, France and Germany, are included, the value of the business is likely to increase dramatically.